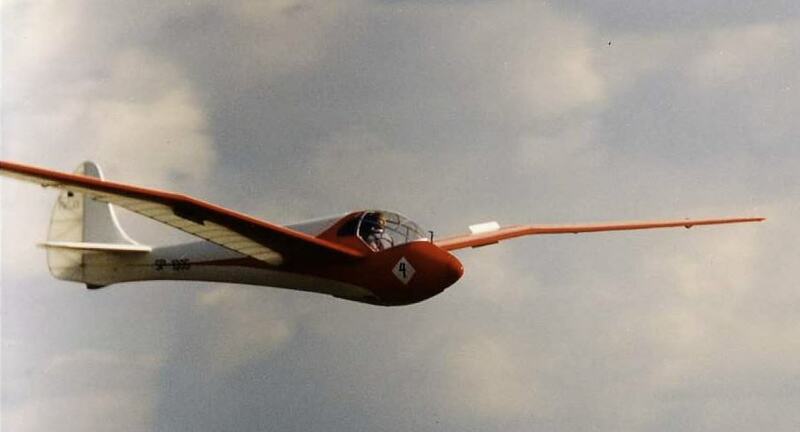 The Podlaska Wytornia Samolotow (Podlasian Aircraft Factory) was based at Biala Podlaska in Poland, specialising in the design and production of powered aircraft and is a single seat high performance glider of wooden construction with a mid-position gull wing. . In 1936 Waclaw Czerwinski joined PWS as chief designer, and a decision was made to add sailplanes as a sideline to their production capacity. Towards the end of 1936 construction began on two pre-production examples of Czerwinski’s design, to be known as PWS 101. Exquisite lines and sound design incorporating a number of innovations made it outstanding in the pre-war era. 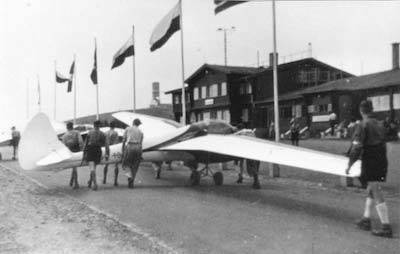 First flights took place in the Spring of 1937, and no doubt it was then hurriedly prepared to take part in the Rhön-SegeljlugWettbewerb on the Wasserkuppe in July, later to be regarded as the first World Glider Championship. The Polish entry, one of seven national teams competing in the event, consisted of two Orliks, two PWS 101s and one CW5 bis/35-WOS. 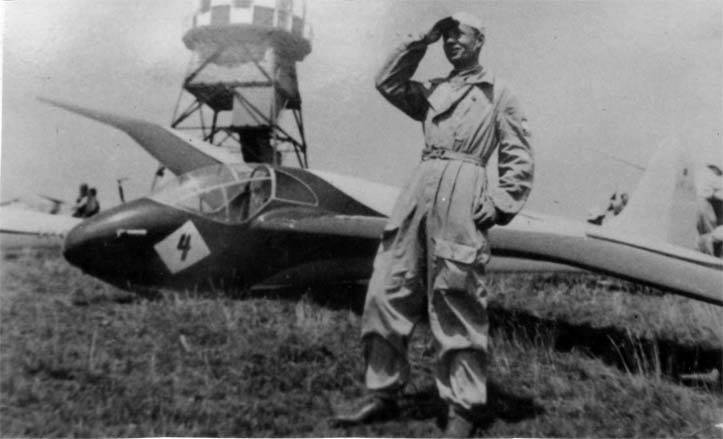 On the first day of the event, Piotr Mynarski, flying a PWS 101 (SP- 1005), reached Hamburg – a distance of 351km (218 miles)to share the first prize with a German pilot. In doing so, Mynarski established a new Polish national distance record, while in the final results he placed tenth overall, and third amongst his countrymen – his performances helping the Polish team to place second, behind the Germans. The second PWS 101 (SP- 1006) came 20th, and the Germans judged the type as the best foreign design. Quantity production began in the second half of 1937, when PWS took over the ZASPL Workshops and re-formed them as the LWL Glider factory. 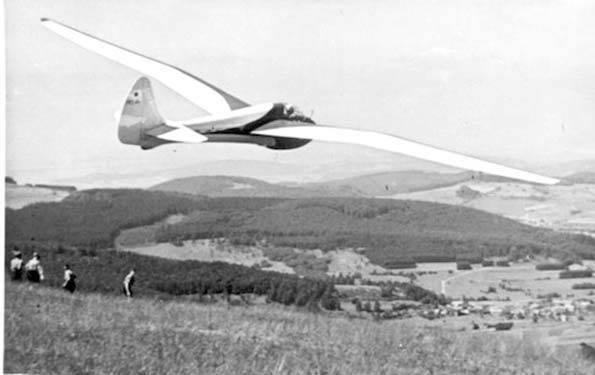 Two series comprising five sailplanes each were built during 1938-39. 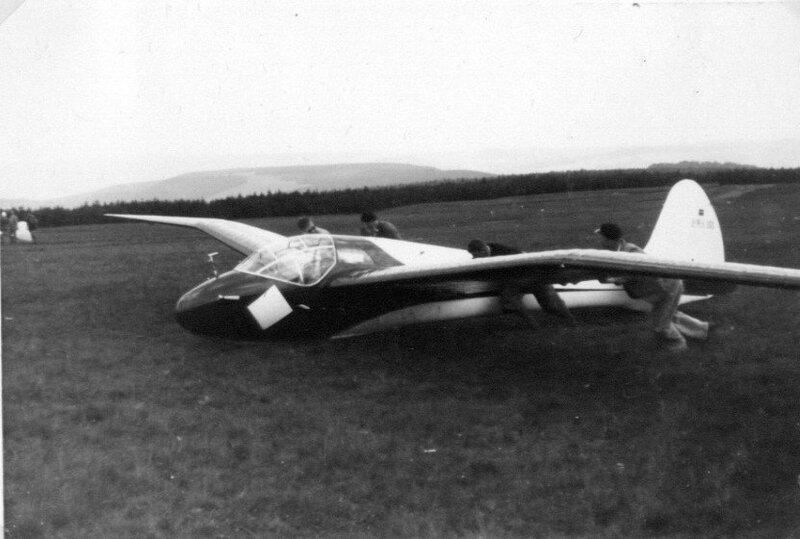 In the immediate pre-war years, the PWS 101 played a prominent role in Polish competition flying, placing 1st and 2nd in the Istus International Glider Contest at Lwow in May 1939, with a Hungarian M-22 coming third. The most brilliant recorded flight of a PWS 101 was that piloted by Tadeusz Gora on the 18th May 1938, with a flight from Bezmiechowa to Sloneczniki Male, a distance of 577.8km (358.95miles). For this achievement, Gora was awarded with the newly-created Lilienthal Medal for the most outstanding glider flight that year. None of the PWS 101’s survived the invasion of Poland by Russia and Germany. 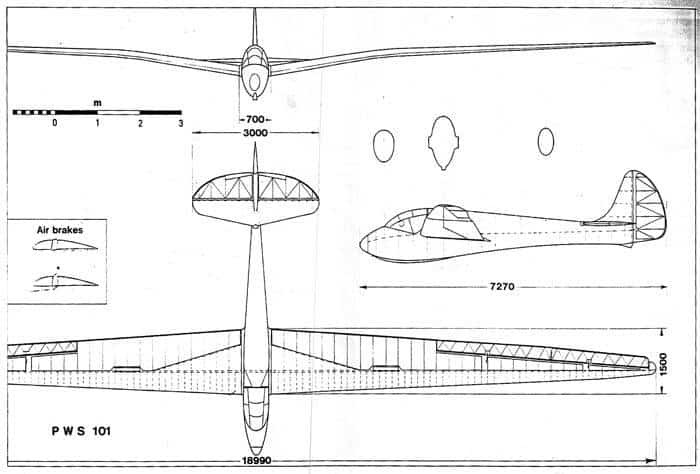 Czerwinski escaped to Canada, but all drawings were left behind, and have never come to light – so here we have a case of scale modellers enabling people’ to see what some of these wonderful vintage gliders looked like in the air, where they rightfully belong.